Including a funky “XY” dining table, a chrome finish adds a charming touch that accents the metal base perfectly. Brighten up your dining space with this contemporary upholstered chair. 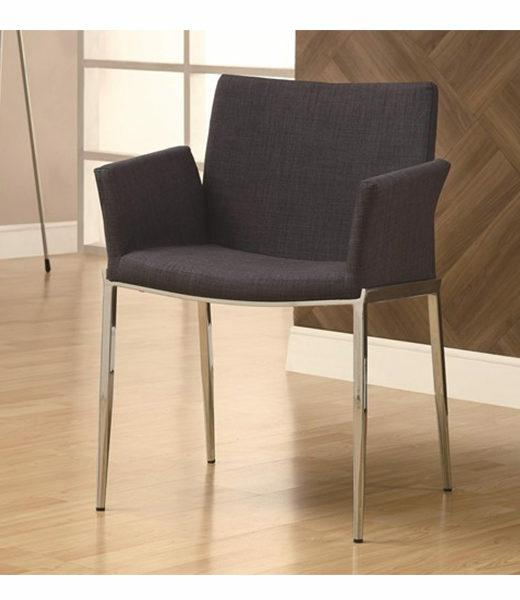 It features chrome legs with upholstered charcoal color fabric on the seat, arms, and seat back. Flared wing arms add a cozy design touch that is also visually appealing. 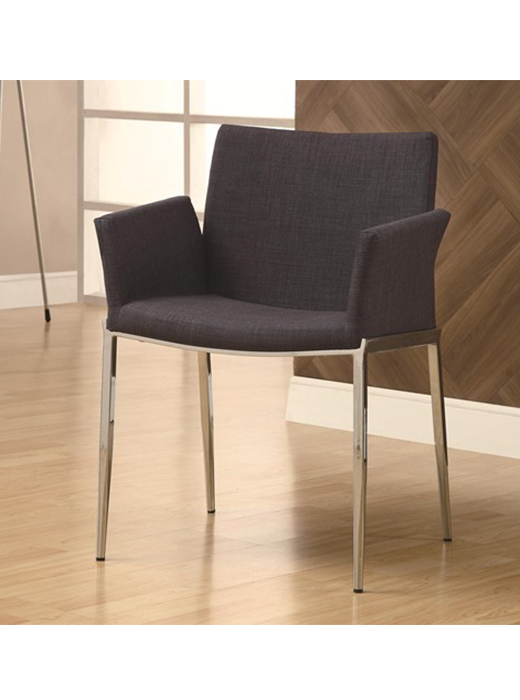 Clean and modern, this charcoal upholstered dining chair is the perfect piece for your home. Craft a modern dining space with this contemporary collection. Including a funky “XY” dining table, a chrome finish adds a charming touch that accents the metal base perfectly. An assortment of upholstered dining chairs in bright colors allow you to mix and match to make the dining room in your home truly unique. Choose from navy, coffee, charcoal, cranberry, and pear upholstery to brighten up your home.